There’s nothing “Minne” about this city in the summer! An ample amount of fun (and free) opportunities await you in the largest city in Minnesota. We’re here to give you the down-low on the best of the best. Minneapolis is known as “The City of Lakes” and the Minnesota state itself is nicknamed the “Land of 10,000 Lakes.” This means it’s almost criminal not to enjoy some time by the water this summer! Whether you want to take a dip in the water or take a lap on your bike, Lake Harriet is a go-to. It has a pavilion, a beach and sidewalks around its perimeter for public use. Lake Harriet is just one of many lakes located right outside of downtown Minneapolis. Live entertainment, art markets, and fresh groceries. What more do you need on a Saturday morning? With over 60 local vendors partaking in this weekend staple in the city, there really is something for everyone. And that includes the kids too! The market stays family friendly by offering special storytelling sessions for your little ones. After recent renovations, the Minneapolis Sculpture Garden is looking better than ever. Nestled in the heart of the city, there are more than 50 sculptures and works of art in the 11-acre garden. The grassy lawns and dazzling views of the skyline make this the perfect spot for a summer picnic or an evening stroll. Wondering how to spend your Independence Day? Show off your athleticism and patriotism by participating in the Red, White and Boom! run the morning of the Fourth. There are options for all types of runners. Participants can choose between these four run options: virtual, 5k, relay or half marathon race. At night, rest your legs by kicking back, listening to live music and participating in family activities. Then, watch a firework show to wrap up the night! Just 15 minutes away from our MN branch of KellyMitchell is the world-famous Mall of America. If shopping isn’t your thing, don’t worry. This mall is much more than that, even if there are over 520 retail stores on site. With amusement parks, movie theaters, mini-golf, an aquarium, and much more you’ll never get bored… but you might get tired! While late August may mark the transition into fall, it doesn’t mean that your summer fun should end! Since 1859, the Minnesota State Fair has drawn crowds from near and far. Nearly 2 million guests visit annually to see concerts, amusement parks, animal shows and to indulge in a lot of food. Join in on the state tradition and experience the fair for yourself (and go ahead and order a Bacon Fluffernutter while you’re at it, you won’t regret it). 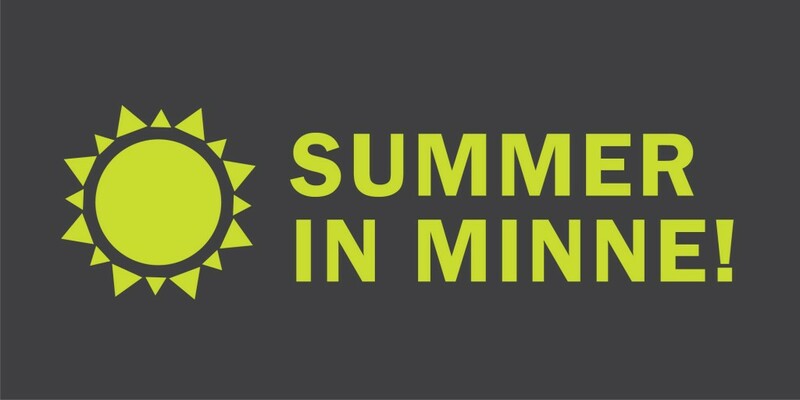 If it sounds like Minneapolis is a city you could see yourself in this summer, you’re in luck! We’re hiring and looking for someone who wants to make Minnesota their home. Check out more information on the Account Manager position here!